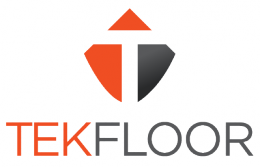 Tekfloor Limited has been established since February 2013. We are the leading distributor of screeding and render products in the UK. Our team has a wealth of knowledge and many years of experience, so you can be confident that any technical query you have can be answered. We provide excellent service to our customers by guiding them to the right products, being competitively priced and offering the best delivery service available. Our mission statement ‘We will be the supplier of choice to the UK screeding and render industry’, explains Myriam Wiszniewski our HR and Safety Manager. 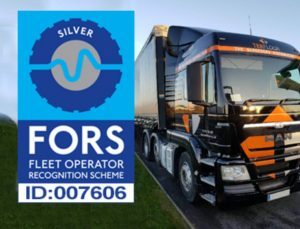 ‘FORS has helped us achieve compliance and safety.’ – Myriam Wiszniewski HR and Safety Manager. ‘We have reduced our accidents by 46.43% since our baseline year.’ – Myriam Wiszniewski HR and Safety Manager. We have managed to reduce our accidents/incidents down by 46.43% since our baseline year. We achieved this by making sure we always selected the best route possible to all our sites and we plan ahead before leaving the yard. We only have one operating centre which is in the middle of an industrial Estate. We don’t carry out any vehicle servicing at our site, we only use this site for parking our Vehicles and loading our products. Servicing is done by garages at their premises and as we are a screeding distributor we collect our products from factories and deliver them to construction sites. All our vehicles are fitted with White Noise Reversing alarms as a consideration to the public. We carry our screeding products to construction sites across the whole country. As we rely on our customers asking us to deliver our products to various construction sites across the whole country, we never know where we are going until they need us. Therefore we can’t afford to try and move anything via barge or train as we deliver all the products to building sites and there is no other method available, other than using a lorry. We are required to deliver anywhere in the country making any other mode of transport (other than a lorry) impractical. We do however have a transport logistics department who insure that haulage runs are kept to a minimum and journeys are combined whenever possible, therefore using a lorry is the most cost effective way of moving our products. We are in the process of replacing all our lorries with Euro 6 engines while maintaining a reasonable cost base for the business. We have looked at electric vehicles but because of the weights we carry and the fact that our lorries have equipment fitted, no manufacture has yet produced an alternative fuelled vehicle that can carry the weight we do and go over the same terrain we do. This is a market we will continue to monitor, making sure we are best placed for when suitable vehicles are available.